another photo from the research day at the railway museum. 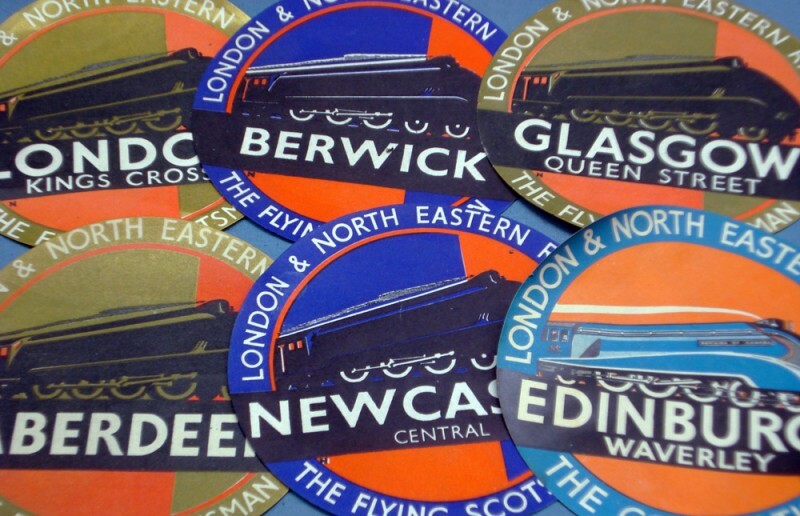 these lovely luggage labels show how the LNER understood visual identity. they also struck us as being remarkably similar to the design of our railway line artwork, notably the lettering round the edge and the positioning of the strip across the circle. it’s perfectly possible these have influenced our initial design without realising it having admired them several times on previous visits to the museum.